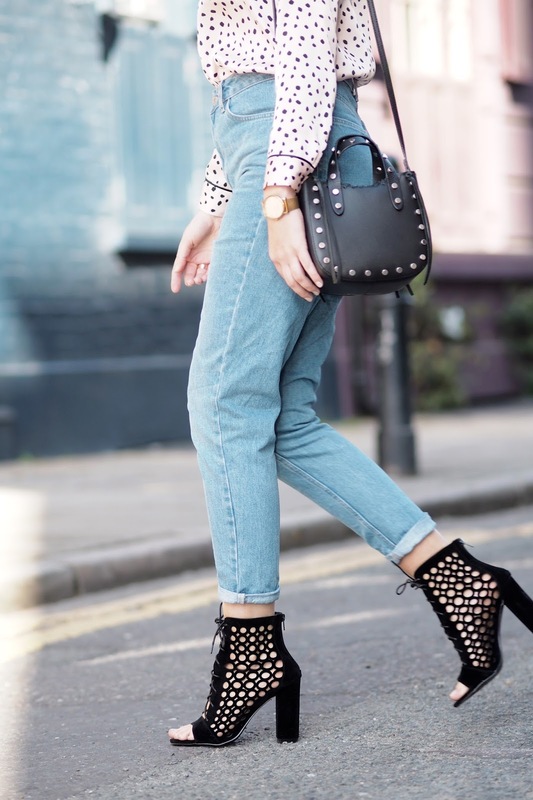 One trend that seems to have taken over the high street is pyjama dressing. From pyjama style tops to loose fitting eyelash lace cami dresses the list is endless for turning sleepwear into daywear. 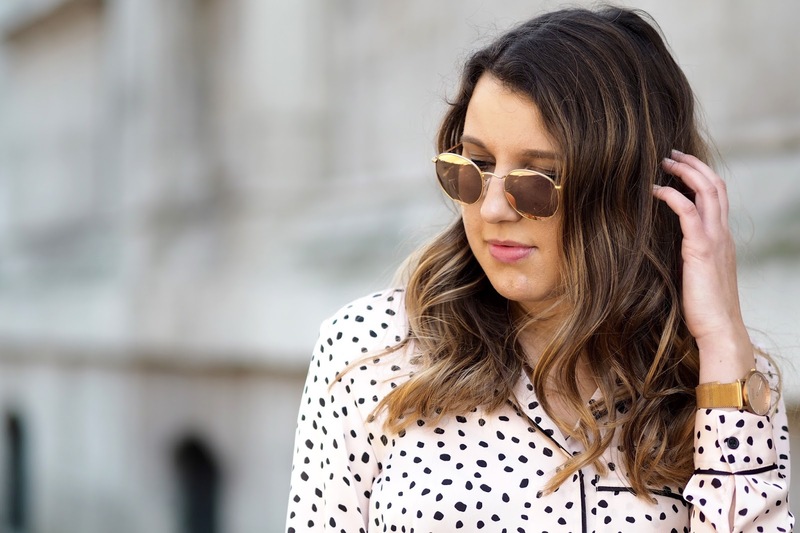 The recent street style trend for wearing one's pyjamas as a day time look seems set to stick around and I can't say that I mind too much. 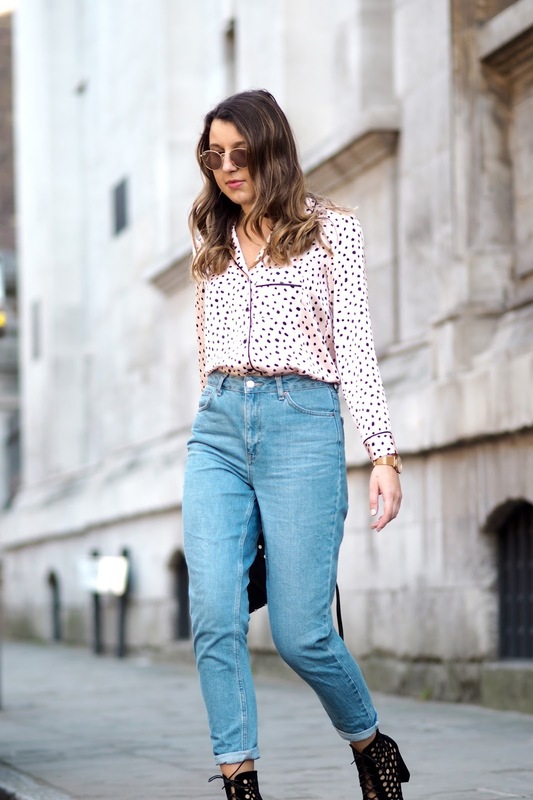 Take this Topshop pyjama shirt for example, its silky finish and relaxed fit means that looking chic has never been so comfortable. If comfort is involved then I am 100% game. Despite this shirt resembling pyjama attire, I actually think that paired with jeans and heels it creates a smart daytime look that you could easily take from day-to-night. 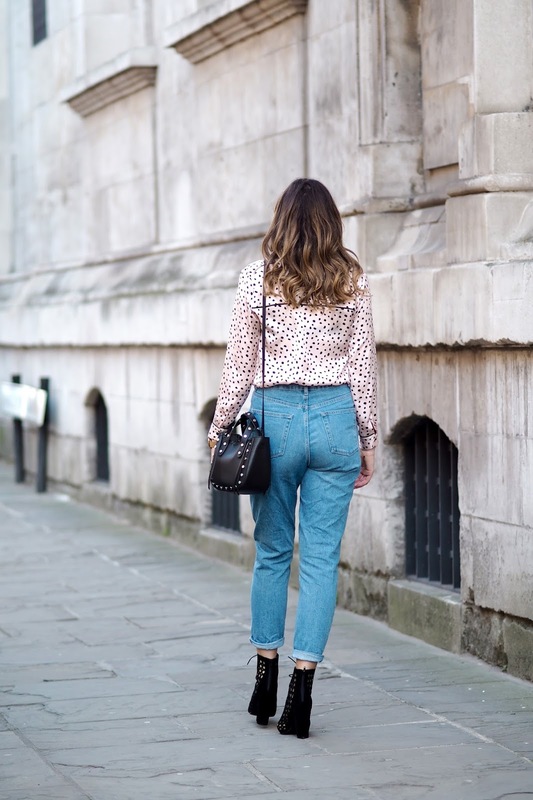 As I've touched upon the subject of pyjama shirt dressing and how I am a huge fan of this trend I thought I should also mention my appreciation for these Topshop MOTO Mom Jeans worn in today's post. 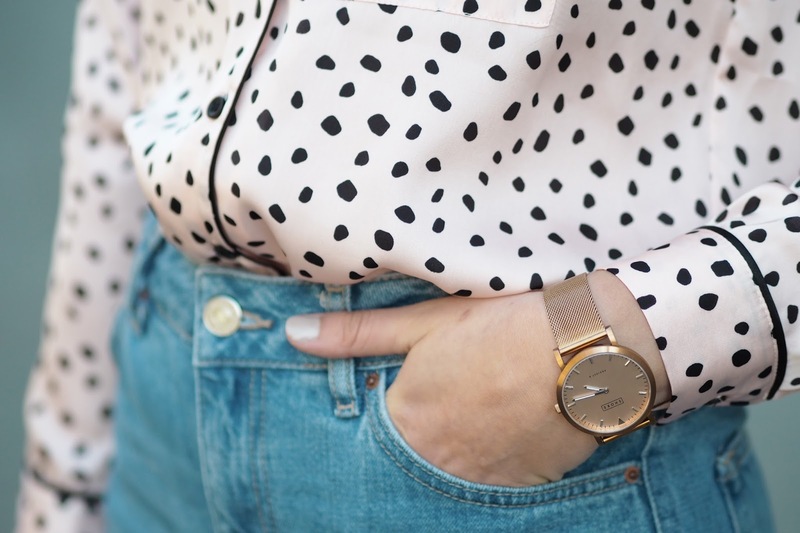 Admittedly, I am a skinny jeans wearer through and through but as of late I have ditched my tighter jeans for a looser fit in the form of the Mom Jean. I only purchased these jeans about two weeks ago but I cannot express to you how much wear I have got out of them already as well as a few compliments along the way too. The relaxed high waisted fit makes them so comfortable and I also love the lighter wash of denim, making them a refreshing change from the darker shades I gravitate towards during winter. Priced at £40 a pair they are worth every penny in my eyes. I am definitely considering purchasing another pair soon. The only question is which shade to go for next? I've picked out a selection of my favourite pyjama style shirts below in case you were thinking of adding one to your Spring wardrobe. You can thank me (or blame me) later when you accidentally add one to your basket. I found that in most of your photos, you wear glasses. But your eyes are so beautiful.